The Expanding Earth theory (Growing Earth theory) with various geological and visual interpretations to consider, has some intriguing ideas. Geology suggests that all the ocean crust rock is 200 million years young or younger. 2/3rds of the planets surface is incredibly new compared to some parts of the continental rock that are 4 billion of years old. New material has extruded out as part of seafloor spreading in what are now the middle of the oceans. Around 200 million years ago the continents formed a nearly perfect Pangea supercontinent on a planet 80% its present diameter. 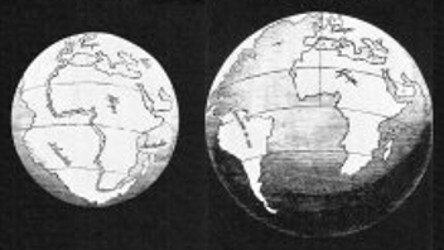 With a reconstruction on our present size globe there are gaps (gores). 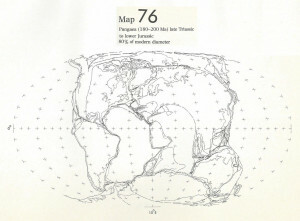 The Earth's continents also appear to fit together on a much smaller planet (65% of present diameter), to form a 'supercontinent' that would be the whole Earth's surface. 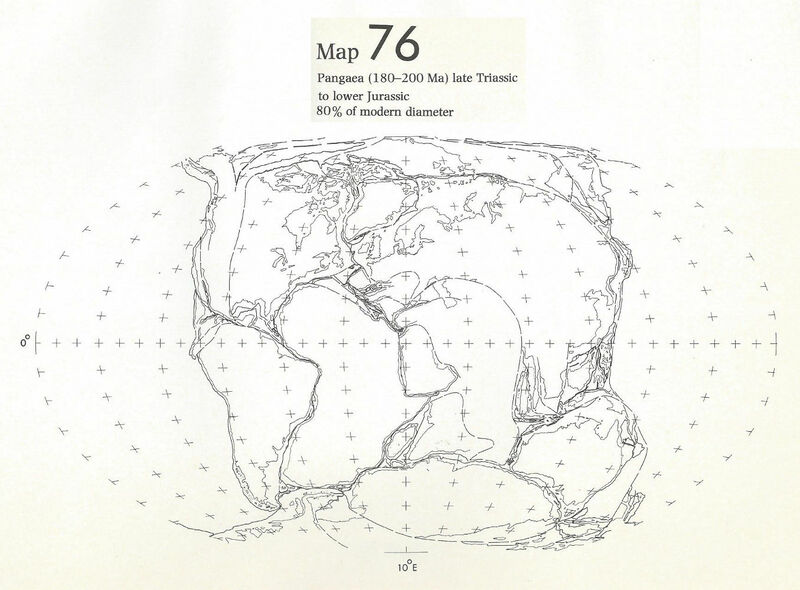 In geology, a supercontinent is the assembly of most or all of the Earth's continental blocks or cratons to form a single large landmass ... Supercontinents have assembled and dispersed multiple times in the geologic past. 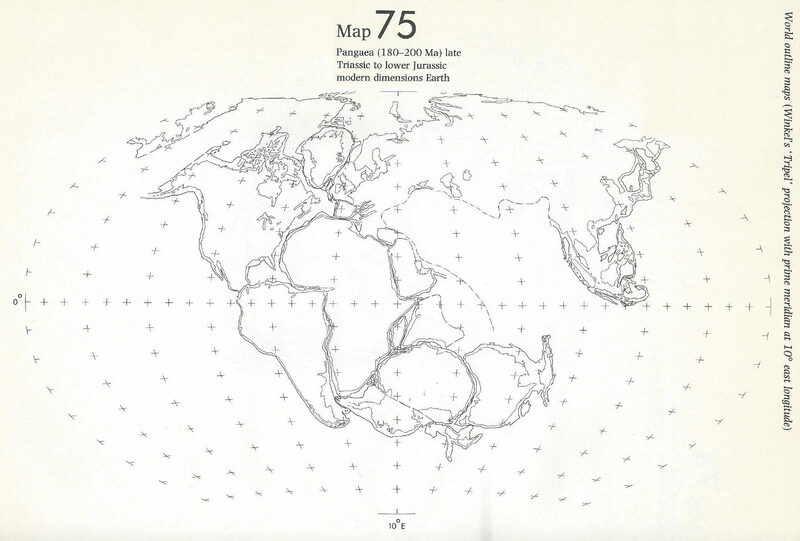 Supercontinent names: Ur (Vaalbara), Kenorland, Protopangea-Paleopangea, Columbia (Nuna), Rodinia, Pannotia, Pangaea. In a thought experiment what would happen if the Earth grows or expands? Seafloor spreading is a geologic process in which tectonic plates—large slabs of Earth's lithosphere—split apart from each other ... occurs at divergent plate boundaries. As tectonic plates slowly move away from each other ... Eventually, the crust cracks. Hot magma fueled by mantle convection bubbles up to fill these fractures and spills onto the crust. This bubbled-up magma is cooled by frigid seawater to form igneous rock. This rock (basalt) becomes a new part of Earth’s crust. Articles, in theory, considering a globe expansion interpretation. Could material and life from the formation of the planet, and just after, have survived these processes? 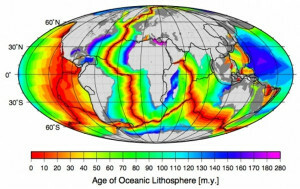 Growing Earth (Expanding Earth hypothesis) suggest that instead of the supercontinents theory the planet has expanded from its original supercontinent that was the whole Earth's surface, or, fitted together better on a planet with a smaller volume. Over the centuries there have been a lot of theories about a hollow earth and an expanding Earth and how or what processes could cause a planet to grow. The free video below is by Neal Adams, who has rebooted the hypothesis and discussion/arguments about if the Earth has expanded in the past. Neil Adams has his own unique ideas about the mechanics of how the planet could have grown. They are not necessarily what others who are interested in exploring the idea of the possibility of a reduced or increased planet diameter. Could the planet have had periods of increasing its size, getter larger in stages? Another possible mechanism for orogeny (mountain building periods)? This sites pet hobby horse: if a planet could have increased its size could it also decrease? Could it have multiple stages of decreasing its surface area, expanded, got smaller ... a few times to explain numerous supercontinents? 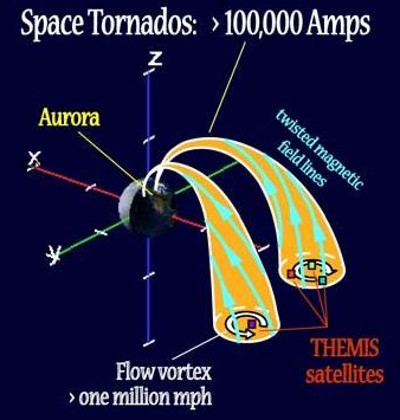 But how or what would trigger, cause, energise an Expanding Earth? What processes or mechanism could help with a Growing Earth? Could the energy and perhaps if extra mass is needed, come from what seems to be planet Earth receiving and exchanging energy and molecules/matter with our Sun and perhaps in plasma circuit with our solar system? 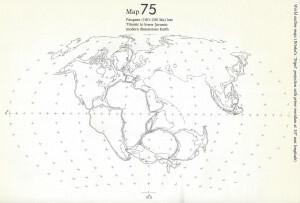 Click for the Exchanging Earth introduction or for a list of all the XEarth articles (blog).